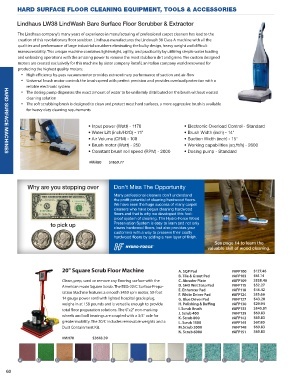 • Water Lift (inch/H2O) - 71"          • Brush Width (inch) - 14"
• Air Volume (CFM) - 108               • Suction Width (inch) - 15"
the profit potential of cleaning hardwood floors. hardwood floors by adding a new layer of finish. valuable skill of wood cleaning.